Railway specialists Story Contracting and AmcoGiffen have bagged the first major contracts to be let by Network Rail for the CP6 control period from 2019 to 2024. 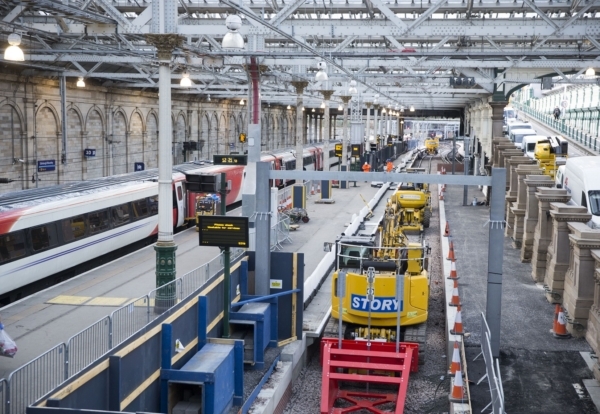 Story Contracting picked up the £135m deal for renewals and enhancements work in Scotland, while AmcoGiffen has secured work on the London North East route valued at around £190m. The remaining and most significant work-bank ‘Lot 1’, will be announced later this year and is valued at a further £320m. As well as the renewals and enhancements framework, SNE will also name its two geotechnical framework partners shortly that will share £147m of work. The awards are the first of Network Rail’s CP6 contracts to be let following the Office of Rail and Road’s final determination, which confirmed £35bn of funding for rail maintenance and renewals. Scotland North East and Southern regions are anticipated to hold the largest work-banks for the coming five-years, with over £5bn of renewals spend estimated per region in addition to substantial network-wide upgrades. Southern will be the next region to announce its contract awards next month.